Weaving is the most ancient women's work, besides birthing and raising babies. The technology of weaving was developed simultaneously across the planet, and women shared their innovations with each other across political borders and continents. 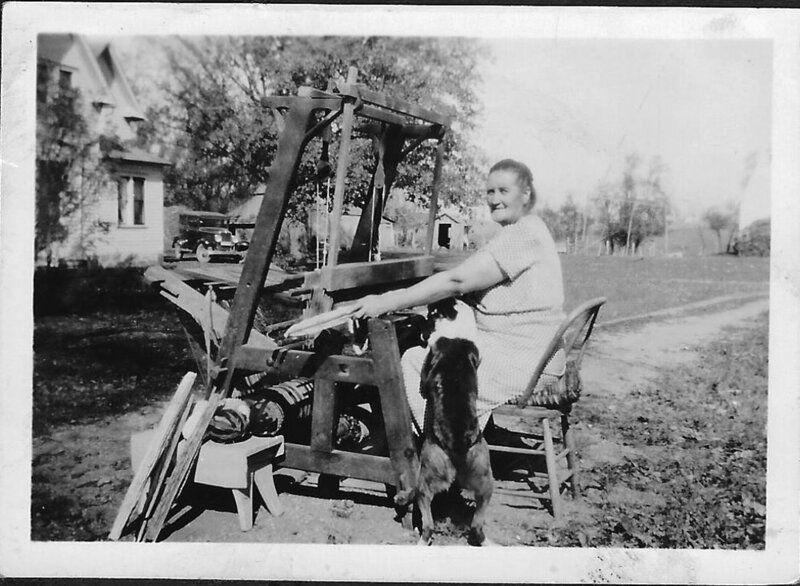 When I weave, I make a direct connection with all of the women who labored before me. This is our history. This is our art. Each one of a kind rug is made by hand from reclaimed cotton in Seattle Washington USA by Lenna Petersen. Learn more about what inspires me. 5% of your purchase will go to the Trans Women of Color Collective.